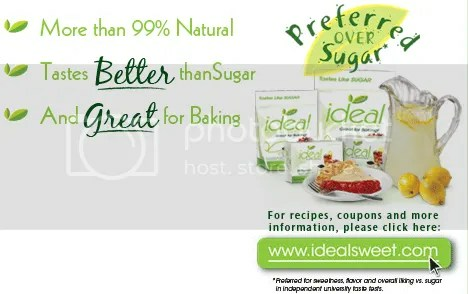 Get a free sample of Ideal Natural No Calorie Sweetener. It’s made from xylitol. You should receive your free sample within 4 to 6 weeks. Thanks goes to Hey, It’s Free! for the heads up! Thanks! I usually use Splenda but always willing to try something new. I wonder if anyone has tried this?